AppCoins Credits (APPC-C), also referred to as APPC Credits, are a virtual currency created by AppCoins that allows users — even the unbanked ones — to make online transactions, including in-app purchases (IAP). What does the future hold for APPC-C fans? AppCoins’ mission is to give more flexibility and access to its users, especially to users that do not own a bank card or have access to online payment methods. As part of the plan, APPC-C was designed to promote and enforce the circular economy. Credits cannot be cashed out or converted into FIAT, which means they never leave the ecosystem. This creates a win-win scenario for both users and developers. 1- By giving an app your time and attention (PoA): To promote and monetise their products and increase user engagement, developers can create campaigns that reward users if they download and spend at least two minutes of attention in their app. This concept is called Proof-of-Attention (PoA) and it allows users to automatically receive credits into their AppCoins Wallet, which can then be used to make in-app purchases. 2 - Taking part in Special AppCoins Programs: During special times of the year, such as Christmas or Carnival, for instances, Aptoide rewards users with extra APPC-C if they install specific apps and games. Such programs are announced on our Facebook and Twitter channels, so make sure to follow us to learn when they go live! 3 - Send AppCoins Credits (Peer-to-Peer Transfers): Since the launch of our latest release — the Kernigham Release — users can now send AppCoins Credits to anyone with an Ethereum wallet. 4 - Top Up Wallet: Kernigham also brought the possibility for users to add APPC Credits to their wallet by using PayPal or a credit card. 5 - Ask Someone to Pay: Last, but not least, this payment method allows users to ask for funds by sharing a link with the person that will make the Top-Up. This is specially important for unbanked users — such as children — since now they are able to acquire items in their favorite games by easily and safely asking their parents for the funds to do so. 6 - Ongoing User Incentives Program: Our User Incentive Programs allows users to get a bonus of up to 30% in APPC-C to spend on in-app-purchases. For every purchase a user makes, they are rewarded with a bonus. The amount of AppCoins Credits that the user receives depends on his/her in-app spending level. 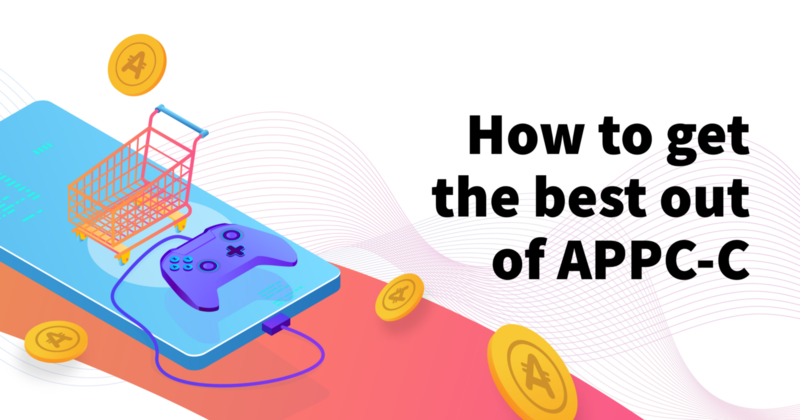 To get the best of games and apps, users need to go to Aptoide, browse the store and look for the “Spend APPC” — These apps also allow APPC-C. The blockchain has seen a boom in popularity in the last couple of years and has introduced three fundamental concepts: Safety, Transparency and Scalability. AppCoins improve security, reliability and scalability by using authentication frameworks, Merkle Tree-based structures and Address Proxy Contracts. Our team has been working non-stop to improve our product and bring new apps to our platform. For the latest information on the AppCoins universe, check out our bi-weekly AppCoins News Update (ANU). To know the latest updates on newly integrated apps and games follow Catappult’s accounts: Twitter, LinkedIn and Medium.